Massive late Neolithic / Early Bronze age Vessel. During a survey in the main lake this popped onto the sonar - there was no mistaking that it was something quite important. 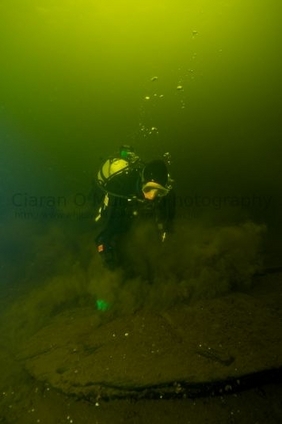 It was unlikely to be less than 100 years old - so the correct procedures were followed, the Underwater Archaeology Unit of the National Monuments Service were contacted and sent all the details. 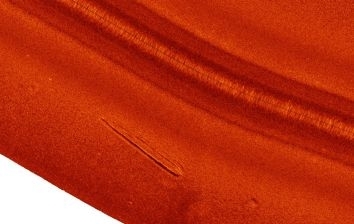 I was able to obtain measurements from the imagery - giving the vessel a length of 40ft, and a beam of 3.5ft. 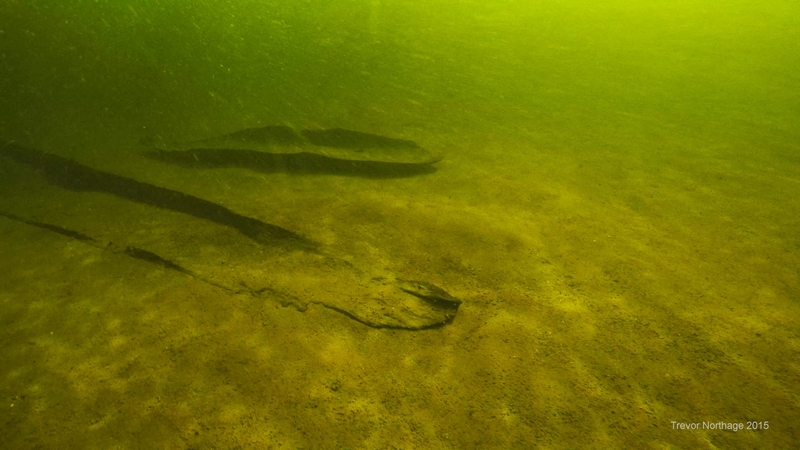 She was in a depth of water likely to give good photographic results, and was unlikely to have been salvageable with the resources available thousands of years ago, so could well have contained important archaeology. The UAU team together with myself, and Ciaran O Murchu, a local underwater photographer headed out to the site, where an inspection was carried out. 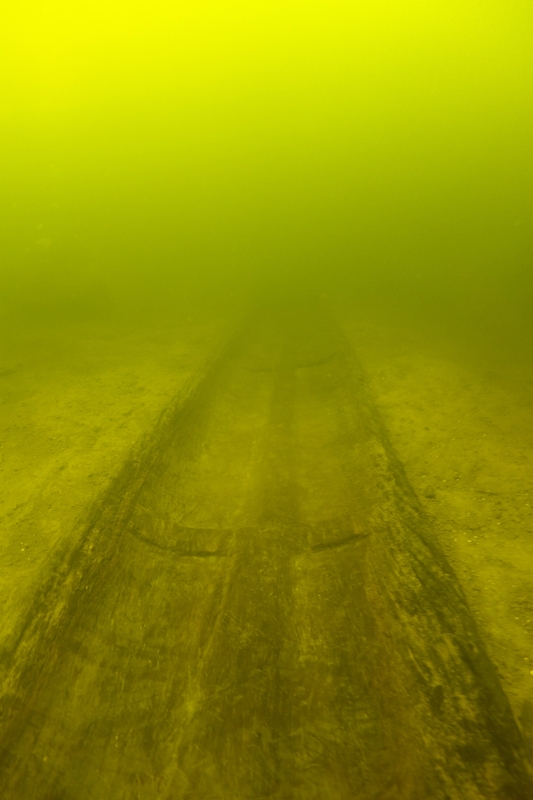 The vessel was spectacular, and had lain undisturbed for thousands of years. Carbon dating has now revealed that the vessel is 4500 years old - older than Stonehenge. One of the team set about creating an accurate drawing of the vessel, and located an integral longitudinal strength member, and two integral transverse members. It seems that structural naval architecture had early beginnings. 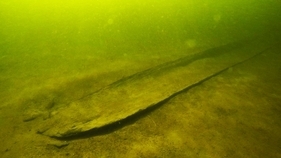 This vessel is constructed from one section of oak - probably 50ft long and dead straight. The area must have been closely wooded with these huge trees - and evidence of them remains in the form of bog oak - and rarely found artifacts such as this vessel. I'd like to think that many others could get a chance to see this vessel, and some of the other historic vessels I've discovered recently. In order that the heritage of the lake can be preserved it is vitally important that correct procedures are followed. Its a simple matter to obtain a licence to dive these vessels, and if the excercise is carried out under the guidance of someone with proper training, and an in-depth knowlege of the subject matter then the experience could be valuable and unforgettable. Perhaps this vessel could be raised and preserved, or even form a part of a concept I came across in Australia - a "Museum without Walls". Dugouts are still in use today - this example is from Salvador in N Brazil. You can clearly see the platform type bow and stern, a feature very obvious on the Corrib Boat, most of which is under 14 inches of silt, leaving only the gunwhales, bow and stern evident. There is a thwart amidships with a hole, into which the small mast and sail fit. 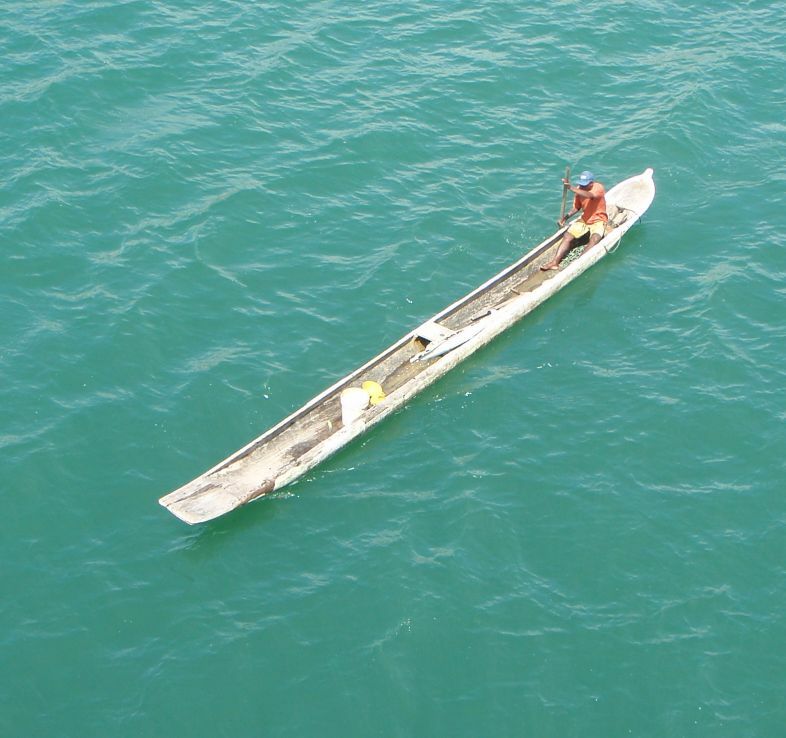 For working anywhere in the boat the oarsman simply lies the paddle across the gunwhales and sits on it. 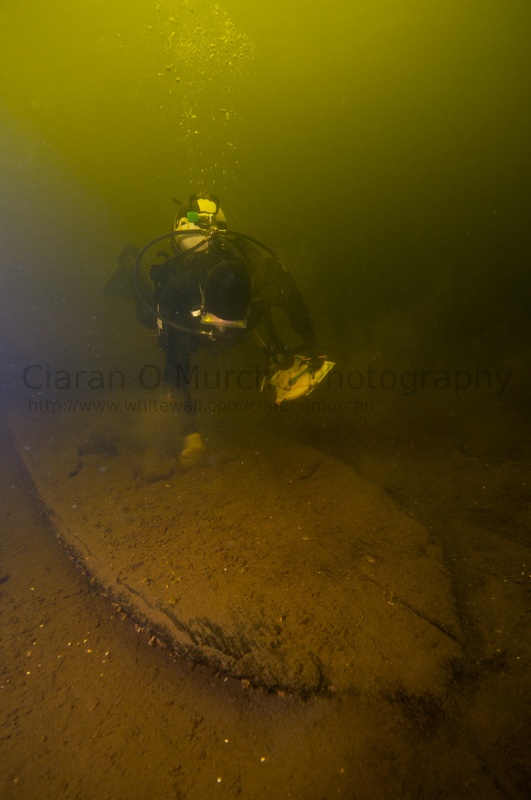 The wreck was dived by the Underwater Archaeology Unit in the late summer 2013, the inside of the boat was emptied, exposing the most beautiful carved surfaces. Between the carved cross shapes the inside of the hull is sanded smooth. The Annaghkeen Boat as she lies today. The strong winter currents have scoured around the wreck, piling silt along one side, and excavating the other. The small Rinnaknock Boat (500AD) now lies alongside the Annaghkeen boat (2500BC), a remarkable contrast in both size and age.